227 - San Piero in Campo - In the quiet village of San Piero, 10 minutes from some of the most beautiful beaches of the Island, apartment of 55 sqm in good conditions. The apartment is on the first floor, consists of: 2 bedrooms, a bathroom, a kitchen and a living room with a fireplace. The real deal. 226 - San Piero in Campo - 10 minutes from the famous beach of Cavoli, in the tranquility of the historic village of Elba, San Piero, a true gem of 65 sqm in the center of the country. The apartment, recently renovated with great care, is composed of: large living room with open kitchen and a small pantry, fireplace, double bedroom, bathroom and loft used as a sitting room/second bedroom, as well as a small balcony. The ground floor has a garage of about 50 sqm, which is also well restored and sold separately. For obvious characteristics of quality, the property can be used both as a holiday home as a residence throughout the year. Negotiation with the Agency. 222 - Marina di Campo-San Piero - In the quiet village of San Piero, a few minutes from Cabbage beach and from the centre of Marina di Campo, in the historic palace, recently renovated, large apartment of about 90 sqm on the ground floor, with two entrances, and the height of 4,00 m, in part loft. The apartment is composed of: a large living room with fireplace and kitchenette, two large bedrooms, a bathroom. Also installed the heater and into the compartment under the stairs there is a water tank reserve of 1.000 liters. Very interesting price. 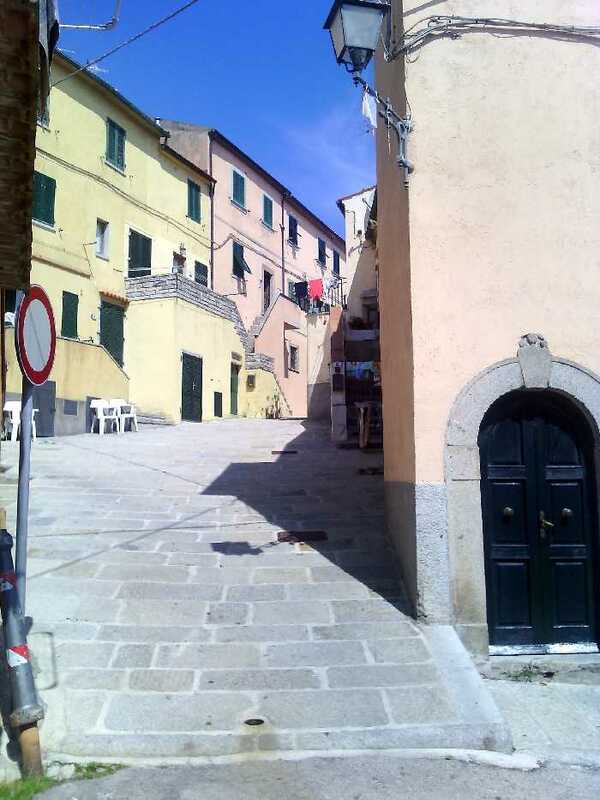 221 - Marina di Campo-San Piero - In the historic and tranquil village of San Piero, a few minutes from the beach of Cavoli and of the municipality of Campo Nell'elba, spacious two bedroom apartment in the centre of the country, situated on the ground floor overlooking the main square. The apartment is composed of: a large living room with fireplace and double sofa bed, kitchenette, a double bedroom and a bathroom with shower independent. 218 - Marina di Campo, Seccheto, With a splendid view of the sea and only 300 mt from the beach, for sale one bedroom apartment of 48 sqm with loft, insulated and free on three sides. Composed of: living room with open kitchen (new), double bedroom with parquet flooring, bathroom recently renovated, small bedroom with a loft and terrace. In excellent condition and with central heating through wood burning stove. Negotiation has reserved character. 201 - Seccheto - 250 mt from the beach, spacious home is partially restored and potentially can be divided into two apartments, composed by: two double bedrooms, large living room, bathroom and eat-in kitchen plus a large laundry soppalcabile. The small exclusive garden, with ruderino, it can be turned easily into the parking lot, even though there are public car parks nearby. Price interesting.